When the “Connect to webfolders.mydocsonline.com dialog appears use your My Docs Online Member Login and password and click OK. The wizard should confirm the network place has been created. 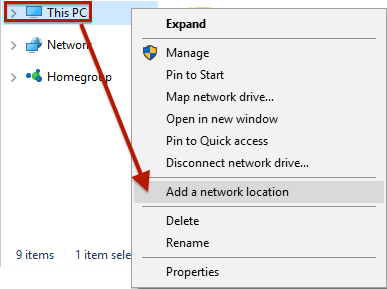 Click “Finish” to open the network location (if box is checked). When you open the network location you will see your main My Docs Online folder(s). 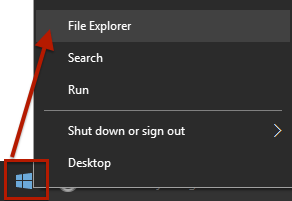 Right-Click a folder and “send to desktop” to create a shortcut (or use other options like “Pin to Quick Access” or “Pin to Start”). You can also open a folder and use this method on one or more My Docs Online subfolders.